Old (1950's?) 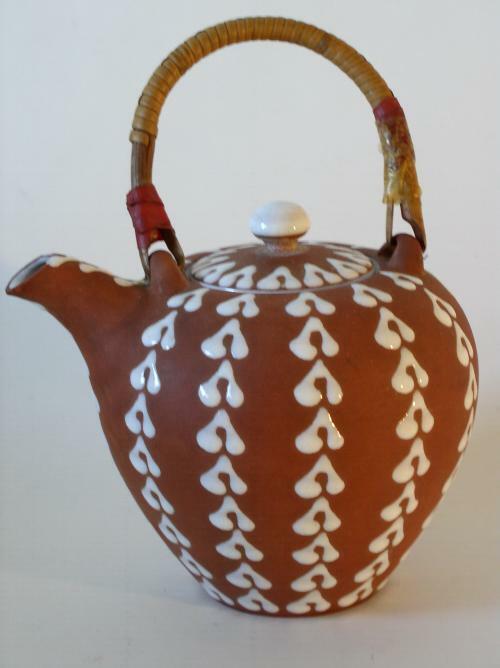 Danish red ware teapot with applied white glaze pattern by Zeuthen of Denmark - signed & labeled. Condition: Cane handle works but has old repair and should be rebound at ends with red paper.